Old fashioned Preaching & Gospel Hymns with NO contemporary services or music. In 1995 Pastor Ed Rice retired from the USAF after 23 years of military service and 20 years as a youth pastor. Pastor Rice and his wife Beverly came to Yates County to minister for the Lord in their home area. In 1997 Pastor Rice resigned from the pastorate of a Bible Church and transferred their membership to Good Samaritan Baptist Church to pursue God's leading as they candidated in Churches in upstate New York. As they wintered at Good Samaritan, Pastor Rice took the associate pastor position under Pastor Jeff Smith. 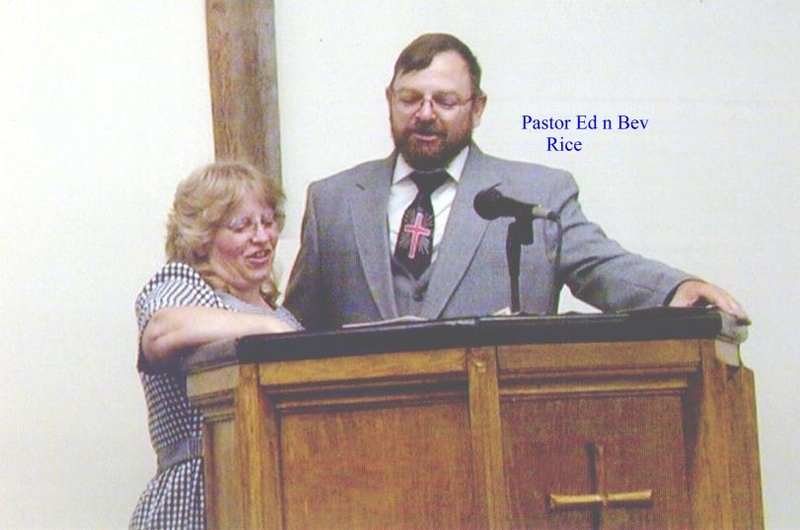 When Pastor Smith resigned to plant a Church in Geneva, Pastor Rice was voted in as the senior Pastor of Good Samaritan Baptist Church in February of 1998. Under Pastor Rice Good Samaritan refiled it's Yates County paperwork as an Independent Baptist Church, completed local and federal tax exemption status, and paid off it's mortgage. 'Church building' now had much to do with the church building as the eastern wall collapsed, the fire codes and electrical service were deemed inadequate, and the winter winds blew through to exposed water pipes. God tells Israel in His kingdom age “mine elect shall long enjoy the work of their hands. They shall not labour in vain, nor bring forth for trouble; for they are the seed of the blessed of the LORD.” With a new coat of paint, handicap access and a missions apartment; and to a theme song of 'Little is much, when God is in it,' Good Samaritan Baptist Church is maintaining a Gospel witness in Dresden, New York, right across the street from that atheist's museum. “He only is my rock and my salvation; he is my defence; I shall not be greatly moved.” Praise be to God, our maker, defender. 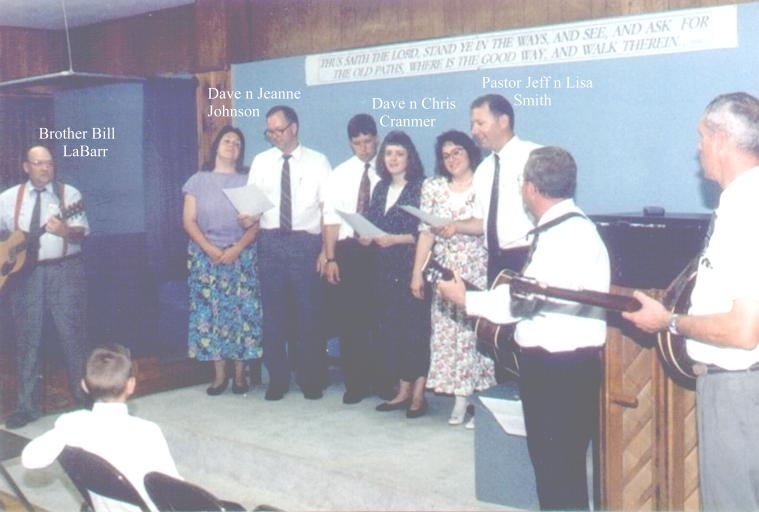 In 1991 Pastor Jared Rarrick and his wife Connie came to Grace Baptist Church in Beaver Damns fresh from Tennessee Temple . After candidating at Waneta Baptist Chapel where he spoke on the Independent Baptist's Biblical concepts of soul winning and door to door visitation, Pastor Rarrick gathered our founding members who formed a new Church that met in the garage of Rick and Lisa Fairchild in Dundee, New York. There they founded and formed Good Samaritan Baptist Church. Nine Christians signed and registered the By-Laws in September of 1991, and Good Samaritan was established as a new Independent Baptist Church in Yates County. In March of 1992 the old brick school house in Dresden was purchased from the American Legion, and Good Samaritan became the first Baptist Church in Dresden, nestled across the street from the birthplace museum of Robert Ingersoll, founder of atheism in America. God, “who worketh all things after the counsel of his own will” is good and He teaches us that “A man’s heart deviseth his way: but the LORD directeth his steps.”. In 1993 the Rarrick's left New York for a teaching position in Alabama. In 1994 Pastor Jeff Smith was back in this area as a Hyles Anderson graduate, to pursue his calling as a Church Planter. Jeff and Lisa's Church, Heritage Baptist in Palmyra New York, had been contacted about the need in Dresden, and Pastor Smith promptly came to Pastor Good Samaritan Baptist Church in the spring of 1993. The physical and financial struggles of pastoring this fledgling Church paid off handsomely as Missionary Lee and Donna Pickett, who had previously done pulpit fill for the Church, united with them to make Good Samaritan Baptist Church their sending Church. By visitation, tent meetings and a heart for souls, Good Samaritan Baptist Church grew. In the summer of 1997 the Pickett's were sent out by the hand of God and Good Samaritan to plant an Independent Baptist Church in Wabowden, Manitoba. By that fall, Pastor Smith also had a renewed burdened to plant Churches, but in upstate New York. 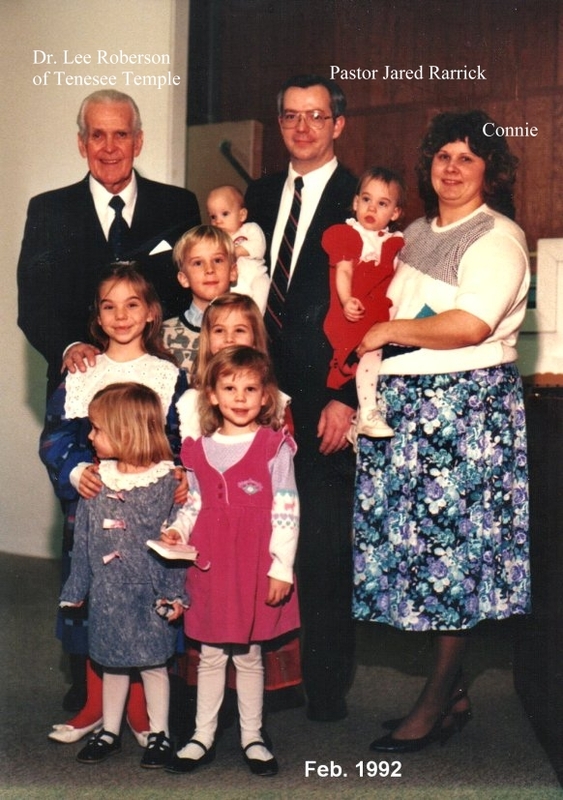 In January of 1998 Pastor Smith took families from the north Geneva area and left to plant an Independent Baptist Church in Geneva.